The first season of Unforgotten ended with a somber burial, returning the body of the missing Jimmy Sullivan back below ground. His killer is rather unexpectedly revealed to be old-age pensioner Claire Slater, who murdered Jimmy decades ago, but is now too far along into senility to even remember doing so. CPS Lawyer: Well, if you could conclusively conclude she did it, then a judge and a jury could hear the prosecution’s evidence, despite her being unfit to plead. Cassie: Except they can’t convict her. CPS Lawyer: No, but the court is at least acknowledging the facts. Jace: Unmasking Jimmy’s killer was a remarkably twisty case for DCI Cassie Stuart and DS Sunny Khan—but this dynamic duo will be tasked with an even more forbidding cold case in Unforgotten’s second season. Sunny: I’m trying to think of other reasons why a man would have a prostitute’s address sent to his pager, but I am struggling. Cassie: Which would be exactly the same conversation a wife would have with her husband if she found out. 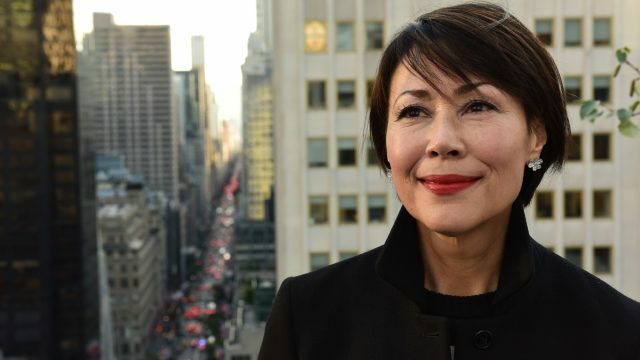 Jace: Sunny, the reliable counterpart to Nicola Walker’s Cassie Stuart, is always ready to defuse on-screen tension with a subtle quip, which proves to be a necessity when you’re investigating submerged bodies concealed in soggy suitcases. Actor Sanjeev Bhaskar, the creator of The Kumars at No. 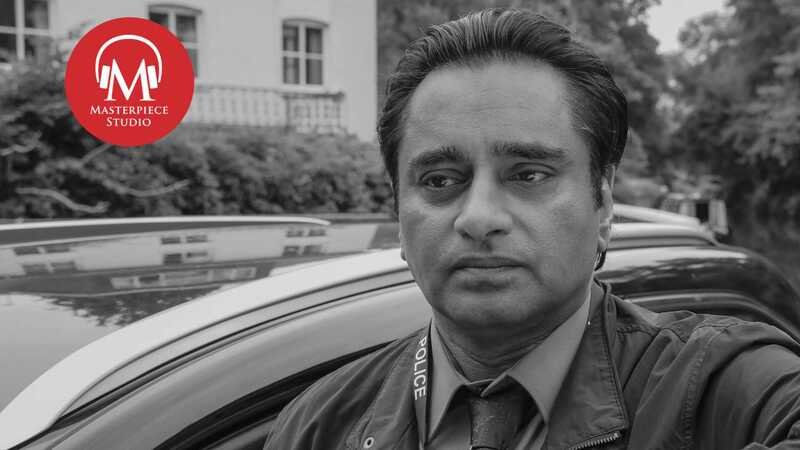 42 and Goodness Gracious Me, plays Sunny, and the rabid fan fascination with the contents of his backpack has been a delightful surprise for Bhaskar during the first two seasons of Unforgotten. Sanjeev Bhaskar: They put stilettos in there. They put in flowers and cuddly toys and I think a tin of fish, at one point. A pineapple, a whole pineapple at one point, I was carrying around. Jace: Bhaskar joined us to talk backpack mysteries, cold case murders, and the relatable charm of playing one half of an intentionally unremarkable, yet ultimately compelling pair of police officers. 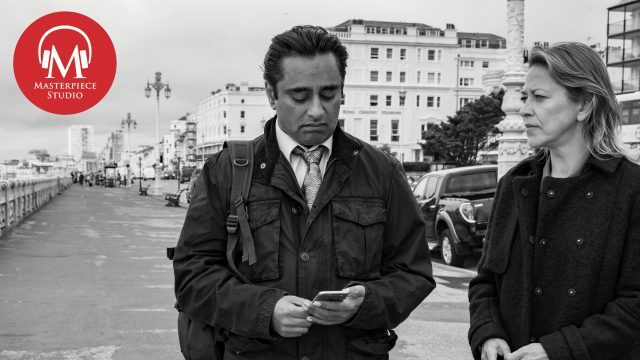 And this week we are joined by Unforgotten star Sanjeev Bhaskar. Welcome. Sanjeev: Thank you very much, Jace. Jace: Unforgotten has been a critical and audience darling. 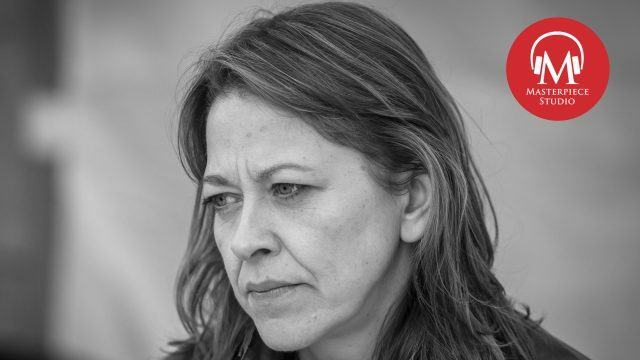 Why do you think viewers have fallen for Unforgotten in such a palpable way? Sanjeev: Sometimes you get a perfect storm. You get great writing and a great director, a really good cast. I think that detective shows have always been popular. It’s one of the genres where we, the audience, are the detective. We play along, we try to guess who the culprit is, and we pick up the clues at the same time as our detective characters do on screen. I think that those detective shows where you’ve worked out who’s done it in the first five minutes are just really annoying, because you’re gonna say, “Well wait a moment, I’m sitting at home with a bowl of crisps in front of me and I’ve worked it out. You’re going to take another eight hours?” Similarly, somebody who leaps in from behind a tree at the end and you’re gonna go, “Well how did I know that was going to happen?” Those are the pitfalls, but otherwise I think it is one of those genres where we are the detective. I think particularly with Unforgotten, I think what Chris Lang, the writer, did was to create four mini-dramas within the umbrella of a traditional whodunit. We play the whodunit game, but I think each one of these little stories within it could have been a series on its own. Jace: I mean there are those mystery series where if Unforgotten were a different show, you or Nicola would be in every single scene–but as you say, this is sort of four dramas hidden beneath a whodunit, in that we get to follow these suspects in their lives as the case unfolds. Is that ultimately what you think separates Unforgotten from similar genre mysteries? Sanjeev: Yeah, I think so. I mean I grew up on on 1970s detective shows and each detective had a hook of some kind. I mean Colombo had his raincoat and he had his frazzled look, and then McCloud had his horse…Frank Cannon was just overweight and Kojak was just bald. But you needed some kind of hook. And I think that what was interesting about Unforgotten was how remarkably unremarkable the two detectives are. It’s not about us; it’s not about the obstacles that hold us up from being genius detectives. In that sense, the focus is very much on not just who did it, but but how the impact of somebody being accused is felt through family. And I thought that was very, very interesting. The fact that it wasn’t about the detectives I found quite refreshing. Jace: Is it true that you thought there was no way you’d get the part of Sunil Khan? Sanjeev: I’m still not sure I’m going to get it, Jace. We’re shooting Season 3 at the moment and I’m not absolutely convinced that I’m in it. It is absolutely true. I mean the only reason that I went to the audition was so that I could tell the writer how fantastic his script was. I think I received about three episodes, and I think somewhere towards the end of the first episode, reading it in the script, I forgot that I was auditioning and I was reading it like I would a great novel. It was just a page-turner. And so yes, I went in just to say, “Look, we’re never gonna see each other again, but let me just tell you in person how great your script is.” I think it was two days later I got a call saying, “Yeah you’re in.” So, I’m still in shock. Jace: You got those first batch of scripts. What did you initially make of Sunny when you when you read the scripts for that first season? Sanjeev: I thought it was interesting that Chris Lang had created a character of a South Asian background. I thought that bit of color, if you excuse the pun, was kind of interesting. The fact we knew little about both my character and Nicola’s character, Cassie, was interesting. It meant that we didn’t have to stop for clunky bits of exposition to explain the background of these characters. The most important thing about these characters on the page were that they were serious about the job and they got on as co-workers. There wasn’t the “will they, won’t they” feel to it, there wasn’t that moonlighting aspect to it. I was turning the pages, waiting for the gambling problem, the drinking problem, the ex-wife problem…I was waiting for one of those to pop up, and they never did. I thought that was great, and in many ways made them feel more real and less like detectives in TV world. Jace: Hearing that that is very surprising in a world where most actors are given an immense amount of backstory for their character before they even set foot on the set. Is it freeing to play a character for whom so much is still unknown? Sanjeev: Yeah, it’s an interesting question actually. People approach character in a different way–some people are reassured by doing a lot of backstory, by doing a lot of research, and that’s fine. I’ve done that for particular characters, but for this one, it seemed to me that the essence was how comfortable the chemistry between Sunny and Cassie was. Funnily enough, I think that’s why I was cast, that and I’m incredibly cheap. I mean let’s not skirt over the issue. But I think that it was interesting with Nicola and I. I remember after our very first scene…we arrive at the place where the body has been discovered in the cellar floor–I remember saying to her, at the end of the very first scene we did, I said, “God this feels really weird. I feel like I’m talking to you like I’ve known you for years.” That ease, I think, was what they were looking for. Sunny: What is with girls and crying for absolutely no reason? Sunny: Gema, till one in the bloody morning. Cassie: I cried last week with my dad. Cassie: Dunno really, just felt like it. Sunny: What did he do? Cassie: Gave me a hug. Sunny: And that made you feel better? Jace: One of the details that I love most about the show–this is going to sound very strange–it’s that Sunny always wears a backpack. It’s not a messenger bag, it’s not a briefcase, but it’s a backpack. Were there any conversations with creator Chris Lang or the wardrobe or props department about this specific choice? Sanjeev: There was a brief conversation. They said to me, “We’ll bring you a selection of bags.” And I said, “What about a backpack?” And they said, “Why would he have a backpack?” And I said, “Because he’s got kids.” It struck me as a really practical thing that he would have. I had no idea it would take off. I mean I think on on Twitter there was a #SunnysBackpack hashtag. Sanjeev: In Season 2, I asked the props department to fill the backpack each week with stuff—I had no idea what was in there, and then I would take the stuff out and take a picture of it and post it online, which I did. So it was a surprise to me when I opened it as well. They put stilettos in there. They put in flowers and cuddly toys…I think a tin of fish, at one point. A pineapple, a whole pineapple, at one point I was carrying around. That was just a bit of fun. But yeah, it really was a practical decision. There were a couple of people who said, “Why the hell have you got a backpack? It just looks ridiculous.” I thought, that’s kind of the point? It’s not that he’s trying to look ridiculous, but it’s a practical thing. Do you have a backpack? Jace: When my son was younger, I did. Jace: When you have a kid you always have a bag of some kind. Jace: I feel like it does make sense, and I think it grounds Sunny in something that is specific and unique to him because I’ve never seen another detective wearing a backpack. Sanjeev: In the 70s, that would’ve been my show. That would have been that would have been the name of the show. That would have been me. Sanjeev: Exactly. Yeah. What has he got in it this week? Sandwiches. But it was exactly that. I had no idea that it would even get noticed to be honest, Jace. I was very surprised at the social media reaction to it, because it just feels kind of normal to me. Jace: I mean, what do you think Sunny does have in the bag? Sanjeev: I think he has stilettos. I think he has a whole pineapple. Sanjeev: A tin of fish. Because he’s ready for anything. He’s ready for the absurd. I think when you’re brought up on Monty Python, you look at that and you go, “Yeah, of course.” I mean, he’s got his papers. You know, women traditionally had handbags that they would put all their stuff into. And men didn’t carry bags until it feels like relatively recently. But now I think that’s kind of changed. Jace: Do you feel that sums up their entire dynamic, that moment? Sunny: I hate egg and cress. Cassie: I don’t mind it. Sanjeev: Yes and that’s very well chosen as an example. I think it is that. I think you have to be that comfortable with somebody to be able to try to to try to break that mood. I’ve always marveled at people in all of the emergency services because I’ve always thought, “How how do you not carry around all that stuff?” If you’re a paramedic, or you’re a firefighter, or you’re a policeman, this stuff that you see on a day-to-day basis can be truly horrible. How does it just not stay in your head all the time? For a lot of them, they have to find a way to compartmentalize it. It is a little bit easier if you’ve got someone to share that with. Jace: What does make these two tick as partners? How do they support each other? Sanjeev: One of the things about knowing someone for some time, and certainly working with somebody for some time, is that you see them in different situations–you see them stressed, you see them when they are relaxed, you see them first thing in the morning, you see them late at night, and you talk about your families. You get a real sense of who they are. I think this was part of the casting, was to get two people who would have the chemistry to suggest all of that. Nicola and I had never worked with each other before. We hadn’t met before the table read, but halfway through the table read we both knew that we got on with each other. There’s very little difference between the relationship Nicola and I have off-screen to the one we have on-screen. It is very supportive. We have more laughs off-screen than we do on-screen. But outside of that, she’s got a wicked sense of humor. She’s one of the most potty-mouthed people I’ve ever met, and she’s fantastic. I think she’s brilliant; I think she’s one of the most instinctive actors I’ve ever worked with. And so she’s always rooted in the present and that certainly helps me in our scenes together. We’re not competing; we’re not competing as people; we’re not competing as actors. I think maybe that’s the thing that comes across, there’s a mutual appreciation. I’d say mutual respect, but I suspect that I have more respect for her than she has for me. I don’t think she has any respect for me at all. She probably doesn’t even like me. She’s just very, very good, Jace. She’s just a very good actress. The dynamic between Cassie and Sunny changes in Season 2, as the two almost fall out over the investigation. What’s behind this disagreement? Sanjeev: I think it becomes a very emotive discussion. It goes into an area which is uncomfortable for both of them. It’s outside of the realm of things that they’ve dealt with, and that brings about a profound disagreement between them and in their approaches. If anything, they get emotionally involved, whereas before part of that emotional distance from the case has allowed them to be more forensic about the way they approach it. Suddenly they can’t rely on that as much, and they do have a difference of opinion on it. Jace: Unforgotten explores the damage both psychic and physical that secrets cause. And Season 2, in particular, seems to pose a lot of philosophical questions about the nature of good and evil. How does that sense of complex morality continue to play out through this second season? Sanjeev: I think that particularly in the second season the moral issues are not just brought up about individuals but possibly about justice itself. How moral is justice? Is justice moral and is morality justice? I think that’s at the heart of the question in Season 2. The more we get to know about the people of interest, I do think create a genuinely complex moral quandary, but also quite a real one. Jace: This week’s episode ends with the revelation that David was abused by a teacher at his primary school and was talking about confronting his abuser before he disappeared. Fran: The conversation was pretty brief, he was on his way to work–but he was telling me about David’s problems, his depression, his drinking? Cassie: Tessa never told us about that. Fran: He thought it had a lot to do with what happened to him as a kid. Fran: He said he’d been abused by a teacher in his primary school, and in the last few months of his life, he’d talked a lot about going to the police, and finally reporting what’d happened to him. But also, he’d talked about confronting his abuser. Sunny: And then one day he just disappears. Cassie: And then one day, someone sticks a knife in his chest. Jace: What can viewers expect from the rest of this second season? Sanjeev: Things are not what they seem. I think one of the interesting things about Season 2, for me, was where my sympathies lay. That revelation that David was abused and was going to confront his abuser–I think most fair-minded people would sympathize with that. It’s a horrible, horrible thing to go through, and the urge to try to confront it one would understand. That journey that he took, and therefore we take in trying to uncover it, leads to an incredibly complex and constantly surprising set of situations. Jace: Do you see Unforgotten as a mystery, or a tragedy, or both? Sanjeev: That’s a very good question. It’s certainly both. It’s certainly a mystery. It is a tragedy, but also it comes back down to what we believe justice represents. Is it about writing or wrong? Is it about balance, ying and yang in the universe? Is it about rehabilitation? All those things are quite complicated. So yeah, I think it is a mystery. I think it is a tragedy. I think it’s a mirror. I think it allows us to confront the emotional impact of crimes, but not just on who the crime was committed upon, but also those people who may be accused because they suffer in their own way. I think the dramas allow us to confront those kind of questions in ourselves, and at the same time, enjoy that process of a mystery and solving a mystery. Jace: You were born in Ealing and grew up above your dad’s laundrette in Hounslow, West London, in the 60s and 70s. Your parents went through the partition of India and emigrated to Britain as refugees in the midst of that upheaval. 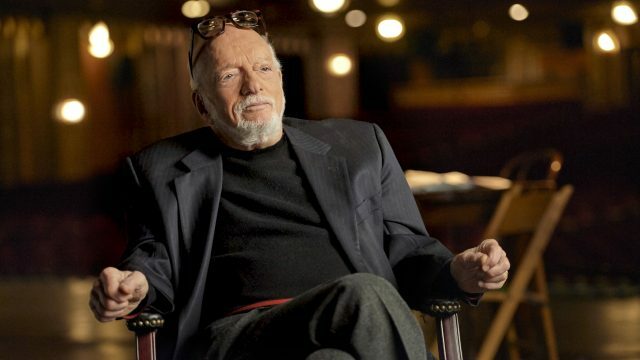 What did your parents make of your decision to pursue acting professionally? Jace: You created one of my favorite comedy chat shows of all time in The Kumars At No. 42. Jace: …which is a sort of hybrid sketch talk show satire. Where did the inspiration for The Kumars come from? Sanjeev: That’s very, very kind of you to say, Jace. It’s a show that remains very close to my heart. In truth, when I started acting when I was 33, I remember thinking, “Wow I’ve started acting, I wonder if I’ll ever meet anyone famous, because that would be pretty cool.” And then I thought, “I wonder what would happen if I started dating one of these people, maybe took them home to meet my parents?” I didn’t think they would react any differently to the way they reacted when I took a girlfriend home for the first time. Her name was Jeanette, and I remember taking her home. I was very, very nervous. I was in my 20s. I took Jeanette home to meet my parents, nervous about my parents’ reaction and Jeanette’s reaction to them, and the first thing my father said, was, “Hello, Jeanette. Pleased to meet you. How much does your father earn?” And I said, “Dad you can’t ask that!” And he said, “Why? It’s only a question.” And my mum stepped in–which I thought, “Great, voice of reason. Good old mum.”–and my mum said, “I’m so terribly sorry about my son, Sanjeev. You know he’s always been terrible at handling rejection. He can’t handle rejection at all.” This is the first two minutes of an introduction and I thought, “What if I introduce them to famous people?” And I thought, “What if it was no different?” That was the that was the spark of the idea, and funny enough, of all the places that The Kumars at 42 was shown, the best reviews we got were from the United States. People got it. People didn’t always necessarily recognize the guests that we had, but that idea of an aspiring family, an ambitious family, with an ambitious son, doing a chat show in their home with real guests…I think America understands the media better than anywhere else in the world. It’s grown up with media. It’s been an embedded part, whether it’s Hollywood, whether it’s network TV, and more latterly with kind of cable and satellite and everything else. I think there’s a familiarity and comfort with the media that I think that Britain doesn’t quite have. Jace: While the year is still very young, I have to say that Paddington 2 may just be my favorite film of 2018, because it is absolutely perfect from start to finish. Sanjeev: Oh, bless you. I mean I wish I could. I was going to say, I wish I could take more credit. But what the heck. I’ll take all of it. I’ll take all the credit Jace. Jace: Take all the credit. Sanjeev: Only because I’m here. Jace: I’m wondering what it was like going from cold case murders to marmalade-loving bears? Sanjeev: It was seamless, absolutely seamless. It was fantastic. The the atmosphere on set was extraordinary. It’s a strange thing when when you know when the CGI bear is the star of the show, everybody else is automatically put into their place. I have to say, Hugh Grant was brilliant. I think he’s brilliant in the film, but I really hope that one day they will put out the outtakes because his improv on some of the scenes was extraordinary. It’s some of the best improv I’ve ever seen. Funny and not self-indulgent. It was great writing, just great writing. I really loved the first film, so it was it was a thrill to just to be involved in whatever way with the second one. Jace: Sanjeev Bhaskar, thank you so much. Sanjeev: Thank you. What a pleasure. Thank you. Jace: If you’re a regular listener to the podcast, you’ve already heard from Call the Midwife creator Heidi Thomas this season. We’ve got some good news for you: Heidi Thomas is back behind the mic, previewing her upcoming MASTERPIECE adaptation of Louisa May Alcott’s Little Women. Heidi Thomas: The girls are remarkably modern…there’s a freedom about their relations with one another and about their speech that I think does not date, and feels very 21st century. Jace: Thomas joins us this Wednesday, May 2nd, on MASTERPIECE Studio—and you won’t want to miss it. And on Sunday, May 6th, Dame Angela Lansbury joins us in the studio to discuss an acting career that spans more than seven decades: Murder, She Wrote, Beauty and the Beast and MASTERPIECE’s upcoming adaptation of Louisa May Alcott’s Little Women. Don’t miss this intimate, extended conversation, appearing in your podcast feeds next Sunday, May 6th. While you wait for Thomas and the rest of the Little Women cast next month, why not head on over to Apple Podcasts, Stitcher, or wherever else you might listen to podcasts and search for MASTERPIECE Studio? There, you can subscribe and leave us a review, which are both excellent ways to help us make the podcast better for you, as well as great ways to help other MASTERPIECE fans find the show. Jace: It just needed a dead body and a backpack. Sanjeev: If there’s a Season 3, that could be the perfect mashup. Unforgotten Bear.